Perspective view of the Platinum 2mm Full Court wedding band. Handcrafted in our Hatton Garden workshop. Book an appointment at our Hatton Garden jewellers today! Perspective view of the Platinum 2.5mm Full Court wedding band. Handcrafted in our Hatton Garden workshop. Book an appointment at our Hatton Garden jewellers today! Perspective view of the Platinum 3mm Full Court wedding band. Handcrafted in our Hatton Garden workshop. Book an appointment at our Hatton Garden jewellers today! Perspective view of the Platinum 4mm Full Court wedding band. Handcrafted in our Hatton Garden workshop. Book an appointment at our Hatton Garden jewellers today! Perspective view of the Platinum 5mm Full Court wedding band. Handcrafted in our Hatton Garden workshop. Book an appointment at our Hatton Garden jewellers today! Perspective view of the Platinum 6mm Full Court wedding band. Handcrafted in our Hatton Garden workshop. Book an appointment at our Hatton Garden jewellers today! Floor view of the Platinum 2mm Full Court wedding band. Handcrafted in our Hatton Garden workshop. Book an appointment at our Hatton Garden jewellers today! Floor view of the Platinum 2.5mm Full Court wedding band. Handcrafted in our Hatton Garden workshop. Book an appointment at our Hatton Garden jewellers today! Floor view of the Platinum 3mm Full Court wedding band. Handcrafted in our Hatton Garden workshop. Book an appointment at our Hatton Garden jewellers today! Floor view of the Platinum 4mm Full Court wedding band. Handcrafted in our Hatton Garden workshop. Book an appointment at our Hatton Garden jewellers today! Floor view of the Platinum 5mm Full Court wedding band. Handcrafted in our Hatton Garden workshop. Book an appointment at our Hatton Garden jewellers today! Floor view of the Platinum 6mm Full Court wedding band. Handcrafted in our Hatton Garden workshop. Book an appointment at our Hatton Garden jewellers today! Front view of the Platinum 2mm Full Court wedding band. Handcrafted in our Hatton Garden workshop. Book an appointment at our Hatton Garden jewellers today! Front view of the Platinum 2.5mm Full Court wedding band. Handcrafted in our Hatton Garden workshop. Book an appointment at our Hatton Garden jewellers today! 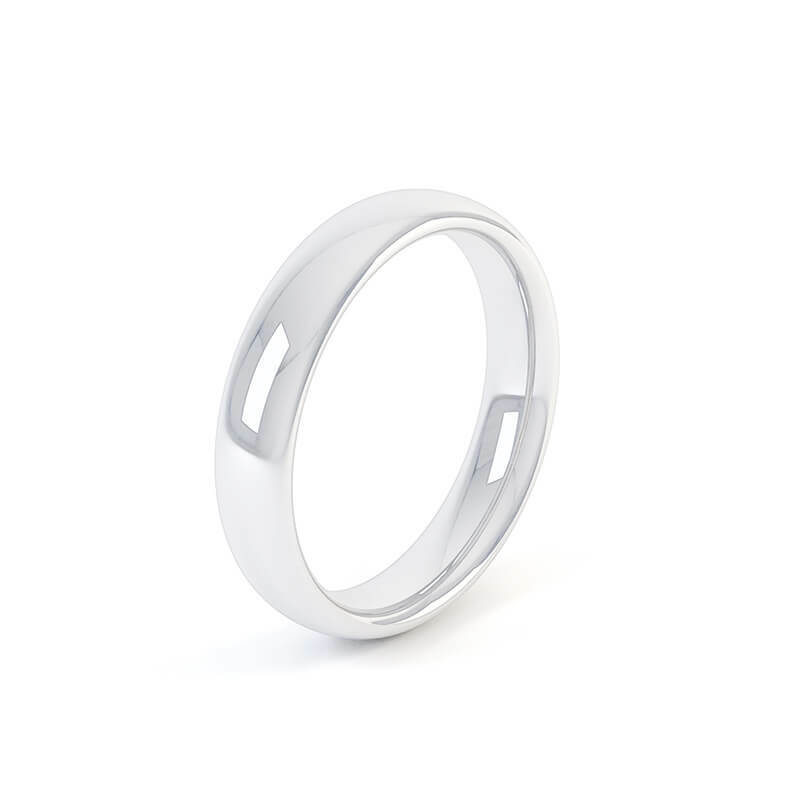 Front view of the Platinum 3mm Full Court wedding band. Handcrafted in our Hatton Garden workshop. Book an appointment at our Hatton Garden jewellers today! Front view of the Platinum 4mm Full Court wedding band. Handcrafted in our Hatton Garden workshop. Book an appointment at our Hatton Garden jewellers today! Front view of the Platinum 5mm Full Court wedding band. Handcrafted in our Hatton Garden workshop. Book an appointment at our Hatton Garden jewellers today! Front view of the Platinum 6mm Full Court wedding band. Handcrafted in our Hatton Garden workshop. Book an appointment at our Hatton Garden jewellers today! 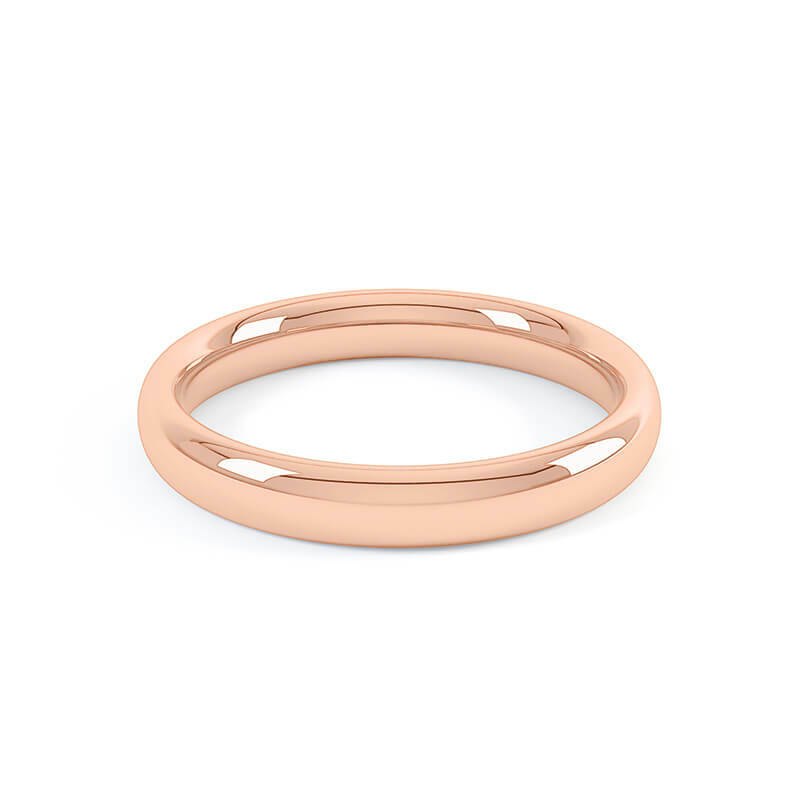 Perspective view of the Rose Gold 2.5mm Full Court wedding band. Handcrafted in our Hatton Garden workshop. Book an appointment at our Hatton Garden jewellers today! Perspective view of the Rose Gold 3mm Full Court wedding band. Handcrafted in our Hatton Garden workshop. Book an appointment at our Hatton Garden jewellers today! 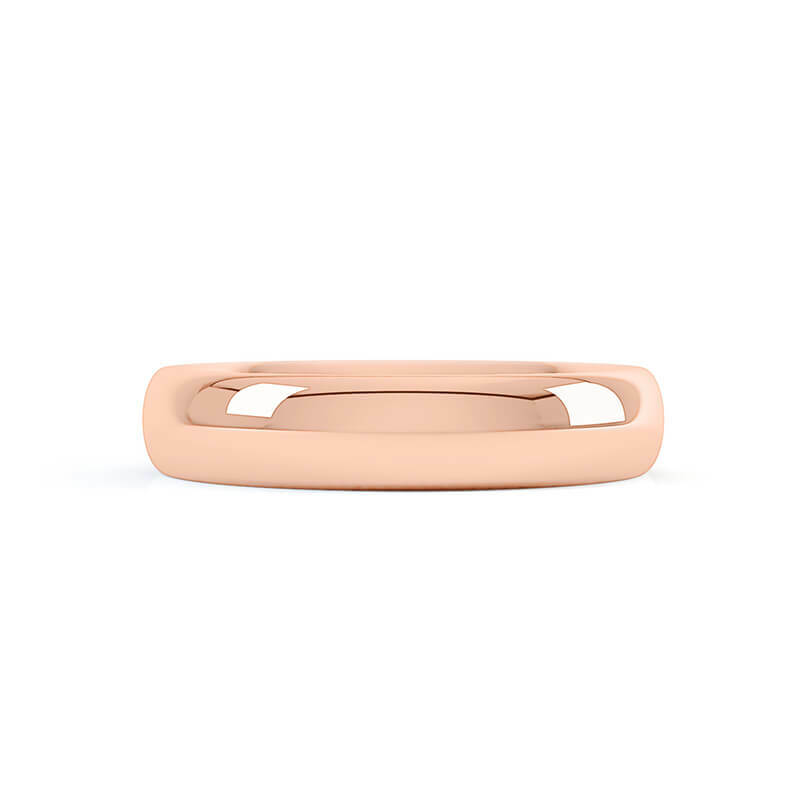 Perspective view of the Rose Gold 5mm Full Court wedding band. Handcrafted in our Hatton Garden workshop. Book an appointment at our Hatton Garden jewellers today! 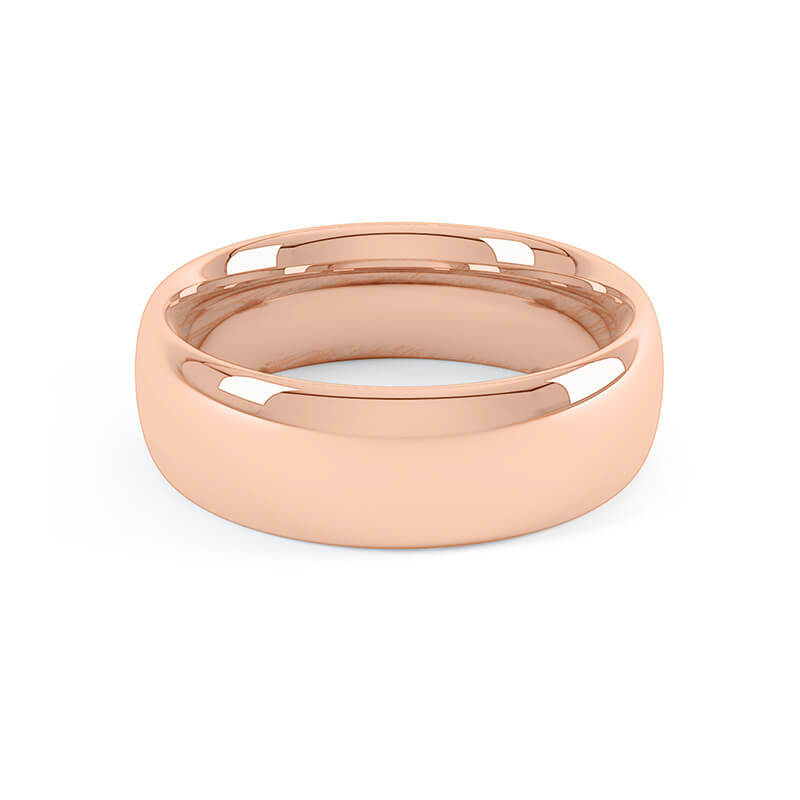 Perspective view of the Rose Gold 6mm Full Court wedding band. Handcrafted in our Hatton Garden workshop. Book an appointment at our Hatton Garden jewellers today! 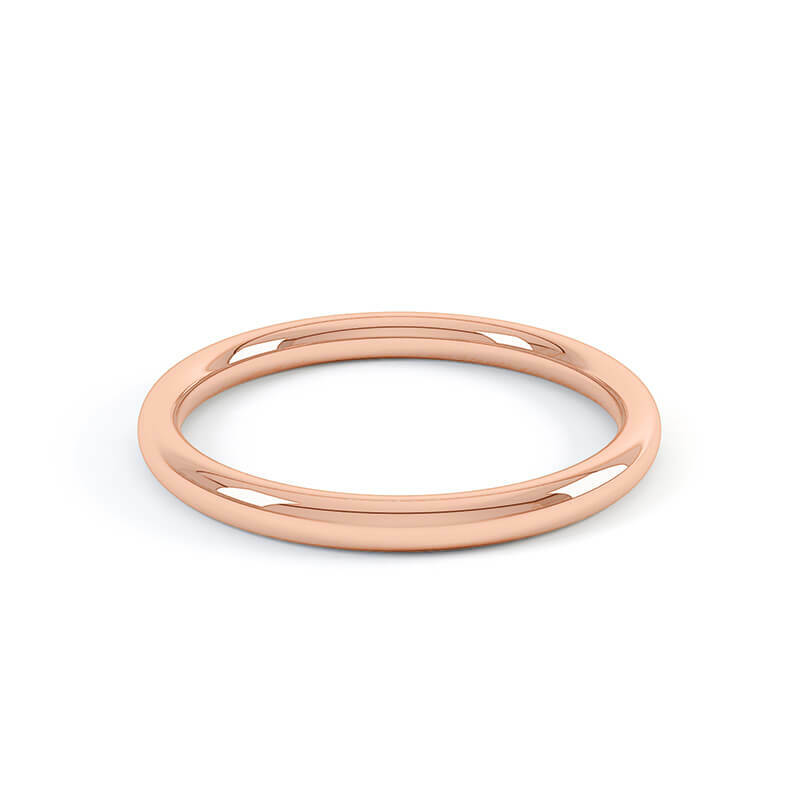 Floor view of the Rose Gold 2mm Full Court wedding band. Handcrafted in our Hatton Garden workshop. Book an appointment at our Hatton Garden jewellers today! Floor view of the Rose Gold 2.5mm Full Court wedding band. Handcrafted in our Hatton Garden workshop. Book an appointment at our Hatton Garden jewellers today! 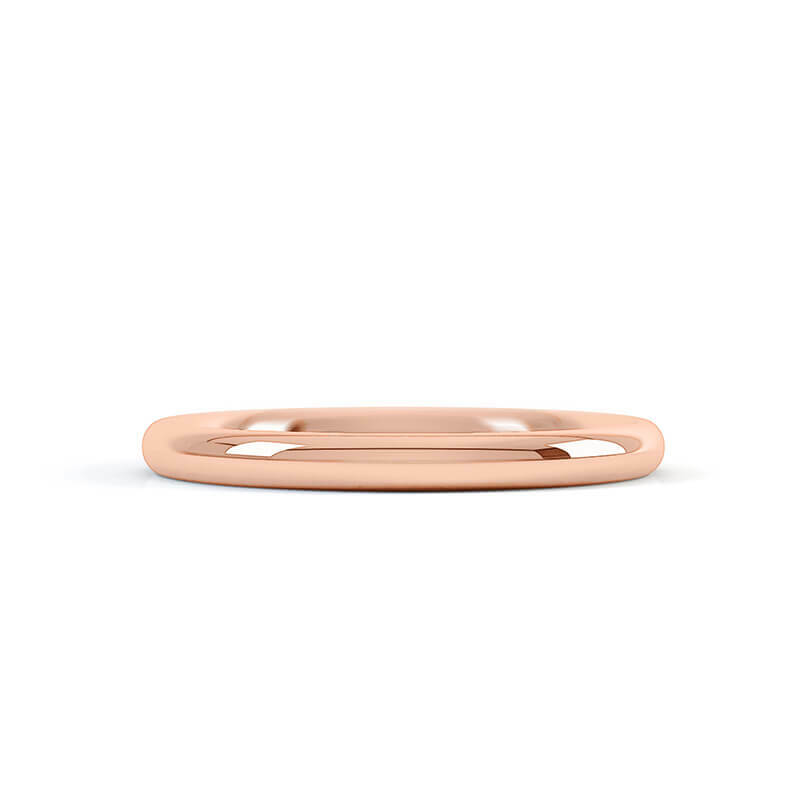 Floor view of the Rose Gold 3mm Full Court wedding band. Handcrafted in our Hatton Garden workshop. Book an appointment at our Hatton Garden jewellers today! Floor view of the Rose Gold 4mm Full Court wedding band. Handcrafted in our Hatton Garden workshop. Book an appointment at our Hatton Garden jewellers today! Floor view of the Rose Gold 5mm Full Court wedding band. Handcrafted in our Hatton Garden workshop. Book an appointment at our Hatton Garden jewellers today! Floor view of the Rose Gold 6mm Full Court wedding band. Handcrafted in our Hatton Garden workshop. Book an appointment at our Hatton Garden jewellers today! Front view of the Rose Gold 2.5mm Full Court wedding band. Handcrafted in our Hatton Garden workshop. Book an appointment at our Hatton Garden jewellers today! 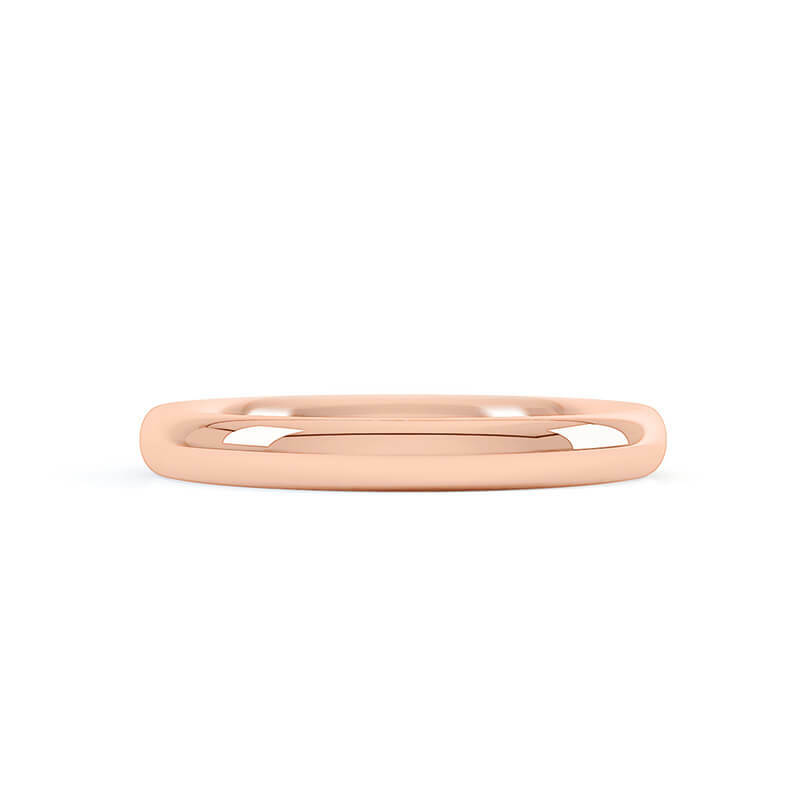 Front view of the Rose Gold 3mm Full Court wedding band. Handcrafted in our Hatton Garden workshop. Book an appointment at our Hatton Garden jewellers today! Front view of the Rose Gold 4mm Full Court wedding band. Handcrafted in our Hatton Garden workshop. Book an appointment at our Hatton Garden jewellers today! Front view of the Rose Gold 5mm Full Court wedding band. Handcrafted in our Hatton Garden workshop. Book an appointment at our Hatton Garden jewellers today! 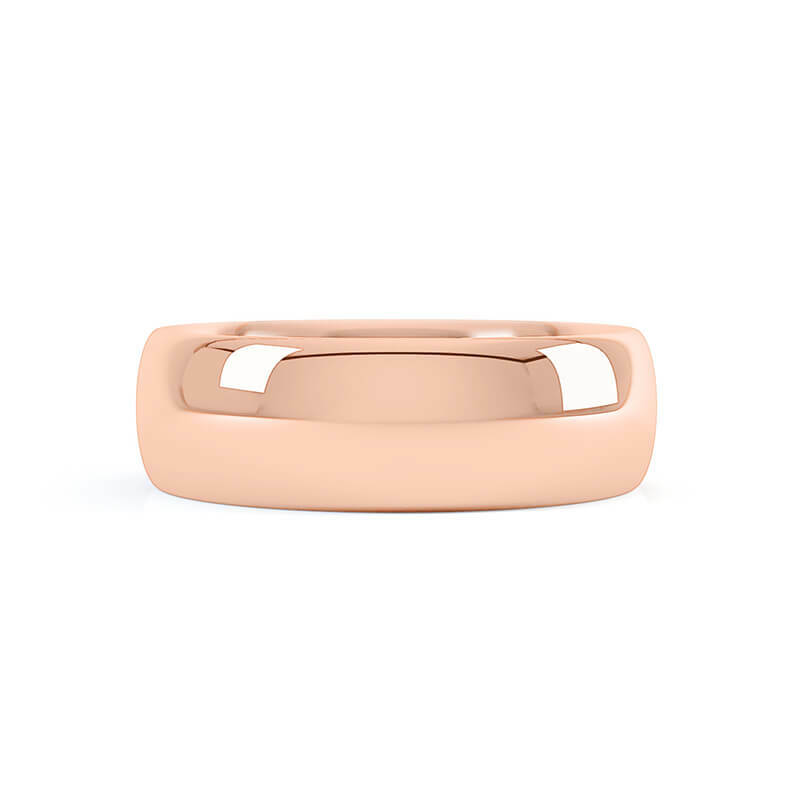 Front view of the Rose Gold 6mm Full Court wedding band. Handcrafted in our Hatton Garden workshop. Book an appointment at our Hatton Garden jewellers today! 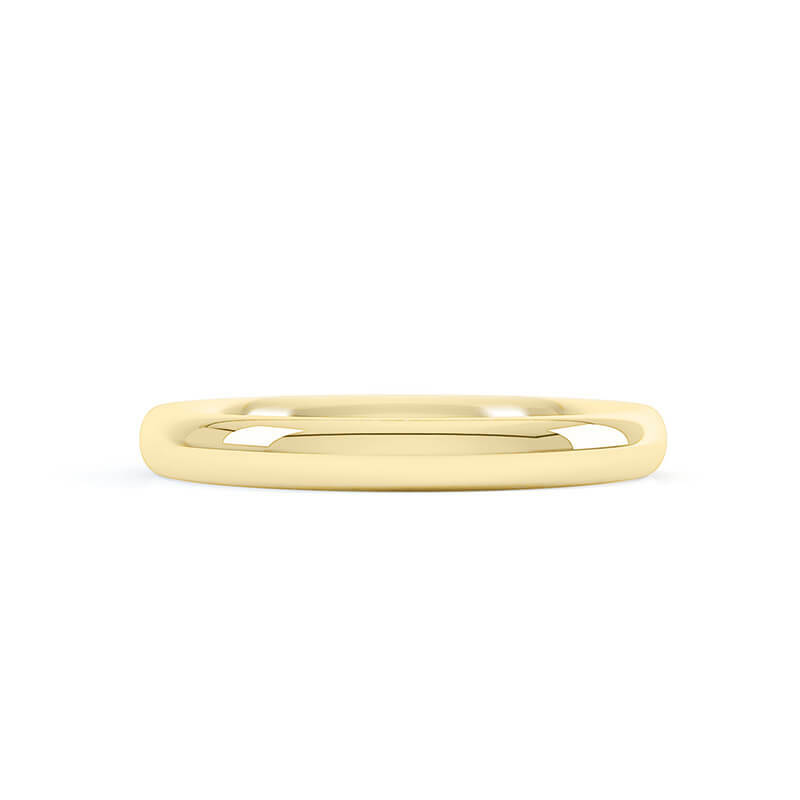 Perspective view of the 18ct Yellow Gold 2.5mm Full Court wedding band. Handcrafted in our Hatton Garden workshop. Book an appointment at our Hatton Garden jewellers today! Perspective view of the 18ct Yellow Gold 3mm Full Court wedding band. Handcrafted in our Hatton Garden workshop. Book an appointment at our Hatton Garden jewellers today! 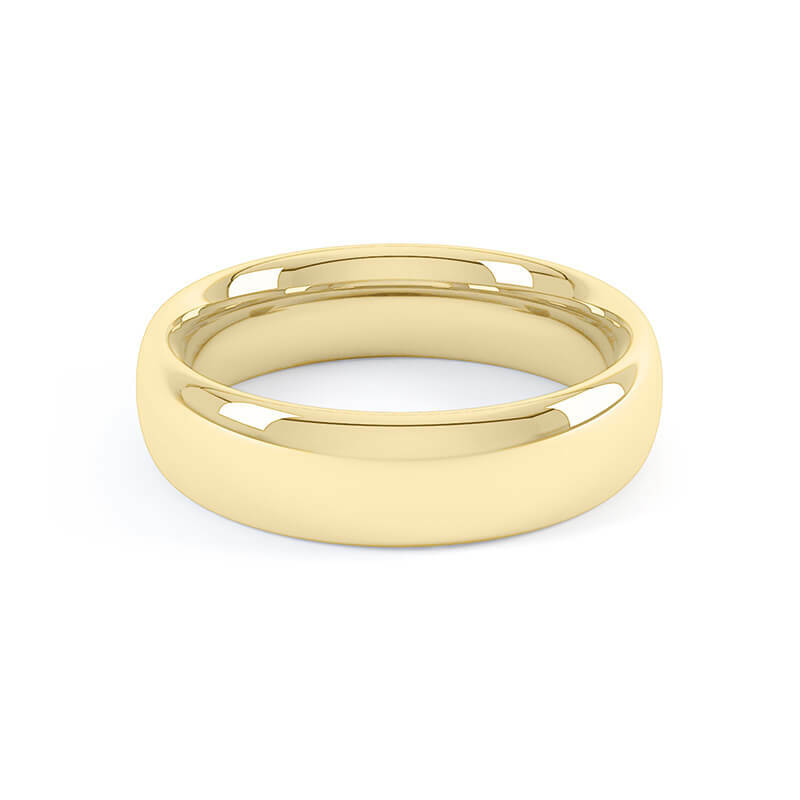 Perspective view of the 18ct Yellow Gold 4mm Full Court wedding band. Handcrafted in our Hatton Garden workshop. Book an appointment at our Hatton Garden jewellers today! Perspective view of the 18ct Yellow Gold 5mm Full Court wedding band. Handcrafted in our Hatton Garden workshop. Book an appointment at our Hatton Garden jewellers today! Perspective view of the 18ct Yellow Gold 6mm Full Court wedding band. Handcrafted in our Hatton Garden workshop. Book an appointment at our Hatton Garden jewellers today! Floor view of the 18ct Yellow Gold 2mm Full Court wedding band. Handcrafted in our Hatton Garden workshop. Book an appointment at our Hatton Garden jewellers today! Floor view of the 18ct Yellow Gold 2.5mm Full Court wedding band. Handcrafted in our Hatton Garden workshop. Book an appointment at our Hatton Garden jewellers today! 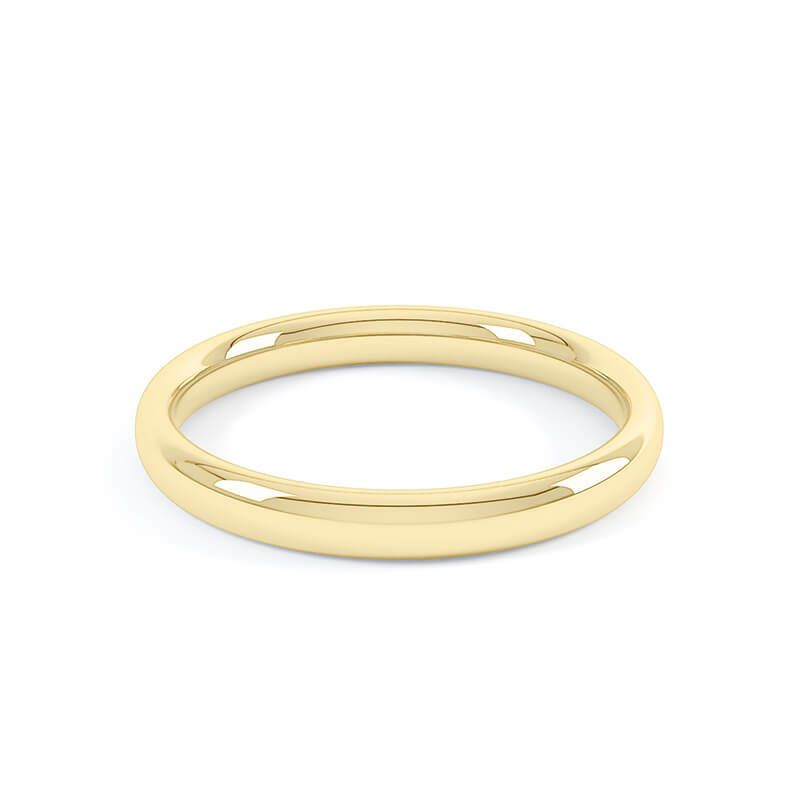 Floor view of the 18ct Yellow Gold 3mm Full Court wedding band. Handcrafted in our Hatton Garden workshop. Book an appointment at our Hatton Garden jewellers today! Floor view of the 18ct Yellow Gold 5mm Full Court wedding band. Handcrafted in our Hatton Garden workshop. Book an appointment at our Hatton Garden jewellers today! Floor view of the 18ct Yellow Gold 6mm Full Court wedding band. Handcrafted in our Hatton Garden workshop. Book an appointment at our Hatton Garden jewellers today! Front view of the 18ct Yellow Gold 2.5mm Full Court wedding band. Handcrafted in our Hatton Garden workshop. Book an appointment at our Hatton Garden jewellers today! Front view of the 18ct Yellow Gold 2mm Full Court wedding band. Handcrafted in our Hatton Garden workshop. Book an appointment at our Hatton Garden jewellers today! 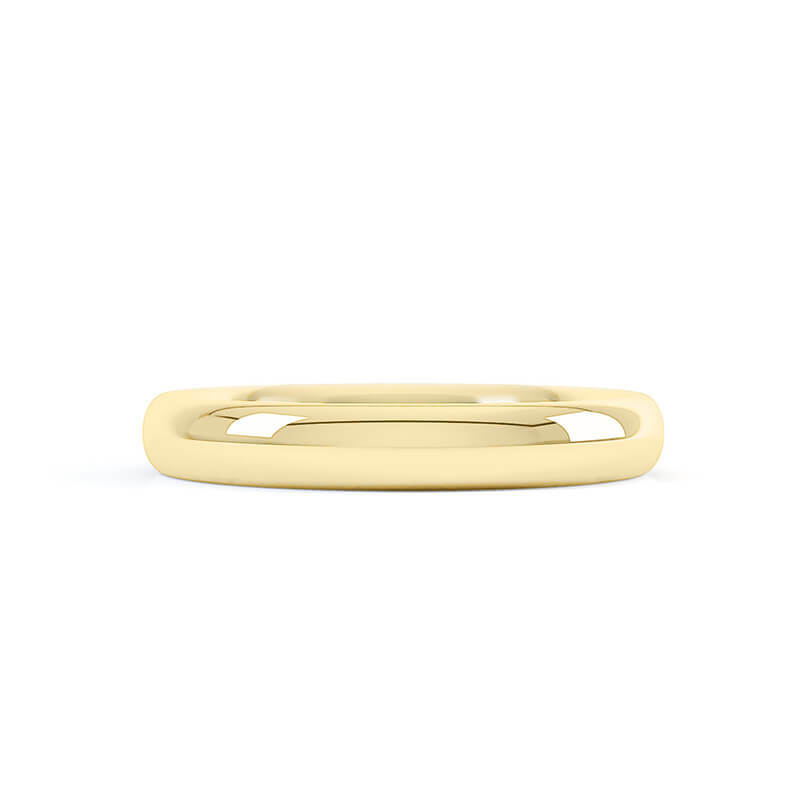 Front view of the 18ct Yellow Gold 3mm Full Court wedding band. Handcrafted in our Hatton Garden workshop. Book an appointment at our Hatton Garden jewellers today! Fron view of the 18ct Yellow Gold 4mm Full Court wedding band. Handcrafted in our Hatton Garden workshop. Book an appointment at our Hatton Garden jewellers today! Front view of the 18ct Yellow Gold 6mm Full Court wedding band. Handcrafted in our Hatton Garden workshop. Book an appointment at our Hatton Garden jewellers today! 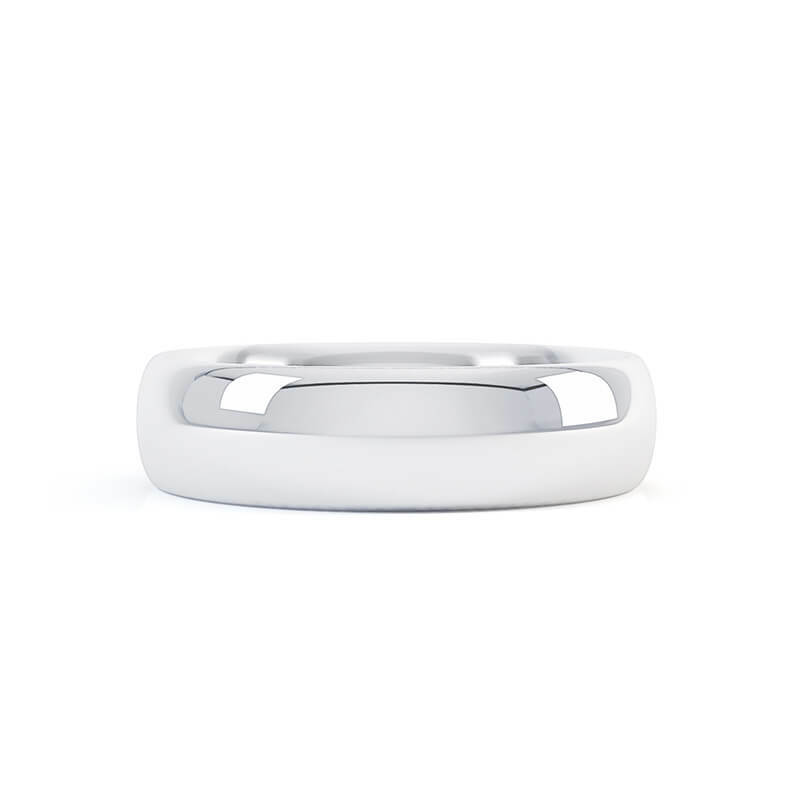 The Full Court Wedding Band is rounded on the inside and out, so that it sits comfortably on the finger. Our plain wedding bands typically come in 2mm, 3mm, 4mm, 5mm & 6mm widths and are made-to-order based on your ring size and width preference. Platinum, Rose Gold, Yellow Gold, Palladium & White Gold. The price of your ring will depend on your choice of metal, ring size, width of the band, as well as the profile of the ring. All prices are indicative and include VAT.